Yes. 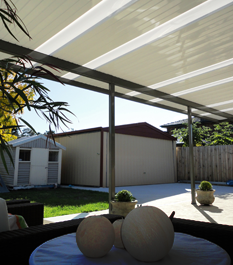 All verandahs and carports require a building permit regardless of the cost of the project or whether they are attached or detached from a dwelling. Do you provide a Building Permit? Yes. For Life Patios include building permits. Colorbond steel is produced with a Zincalume base to provide corrosion resistance and then covered with a chemically applied conversion layer to enhance coating adhesion. On top of this goes a baked on epoxy primer and finally a baked on exterior grade top-coat. This oven-baked finish resists chipping, peeling and cracking and means that each of the 20 Colorbond colours will not only look good for years to come but protect your home against harsh Australian conditions. Colorbond Steel is lightweight and versatile giving architects and building designers freedom in locating interior walls and creating floor plans. 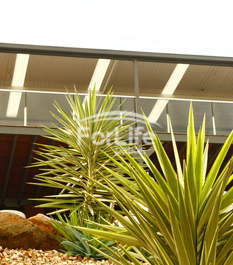 BlueScope offers a warranty of up to 25 years form the date of installation on any Colorbond steel roof against perforation by weathering in the natural elements. In addition to this warranty Fielders also offers a range of Watertight Installation Guarantees from 5 years to 20 years guaranteeing that your roof wont leak when installed by a Fielders approved contractor. located no further forward than 2.5m of the front wall of the single dwelling. If you are planning on building a pergola with a roof, you must obtain a building permit, the same applied with a verandah or carport. 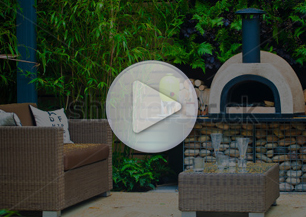 What kind of pergola roofing would you suggest if you were asked to pick? Are there any specific restrictions to a Pergola Design? 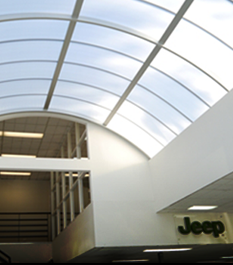 Do you offer complete and easy to set up carport kits? Is there any chance that I could get myself a curved roof pergola installed rather than the simple flat roofs? 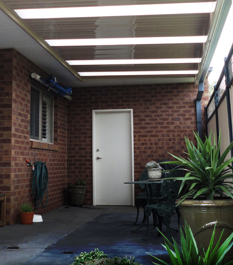 Yes we can offer a curve roof verandah of all sizes. 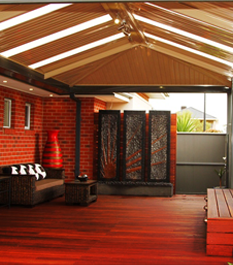 We can design a Flat Curve Flat Roof to enhance your backyard area. Freestanding or attached to house.